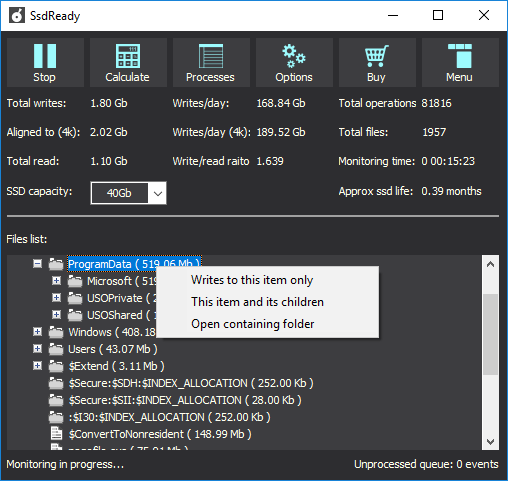 We developed SsdReady tool for Windows so that you can have an idea, ahead of time, of how long an Solid-state drive will last in your computer. Because it`s better to check it under real conditions. We developed SsdReady tool for Windows so that you can have an idea, ahead of time, of how long an Solid-state drive will last in your computer. It`s better to check under real conditions: everybody`s usage patterns are different and exact predictions are impossible. At the same time, ssdready will tell you what to optimize if it finds too many disk writes. Export OE Messages to Outlook XP, 11, 10, 07, 13, etc in any Windows system using DBX to PST Converter. This tool provides easy way to Backup Outlook Express to PST format. eM Client to Outlook migration process becomes easier with help from amazing EML2PST Converter software that also hold capability to import multiple folders of eM Client emails to Outlook at once.